Lincoln, CA spent many years as a small town, and continues to provide the feel of a small town today. Lincoln was established initially as a railroad city and then became the location of the Gladding, Mcbean & Co. pottery company. In the early 2000s Lincoln blossomed into one of the fastest growing citys in the state and it is now filled with new home developments, new schools, new shopping centers and new restaurants. Charming home in Lincoln close to Lincoln High School & Downtown Lincoln. 3 Bedroom, 2 Bathroom with a 2 car garage. 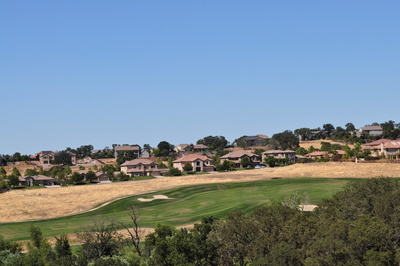 The Lincoln, Ca real estate market offers a wide range of options ranging from patio homes and condos to ranch homes on numerous acres, or even large executive homes or retirement homes overlooking manicured golf courses. There is something for everyone in Lincoln. Lincoln is located in the open grass lands and oaks at the base of the Sierra Foothills, situated on either side of Hwy 65 as you head north after leaving Rocklin. It is home to Thunder Valley Casino and the large retirement community of Sun City Lincoln Hills. Lincoln is also home to numerous walking trails, parks and three golf courses located at Catta Verdera Country Club, Lincoln Hills and Turkey Creek.